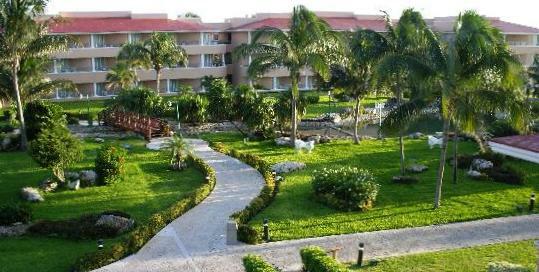 The Moon Palace all inclusive resort for couples and family vacations. This resort is a Golf and Spa Resort. The perfect combination for some of you out there! 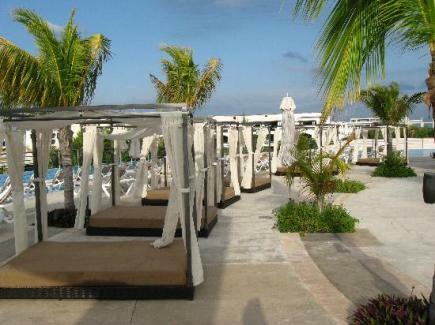 Only 5 miles south of the Cancun airport and on Cancun's tranquil south shore in the Riviera Maya. This resort has over 123 acres of beautiful tropical, lush foliage. Secluded white sand beaches! There is some seaweed though. This picture is of the gorgous grounds at this resort. What is unique about the Moon Palace Resort? Free phone calls from room to Mexico, Continental US and Canada. 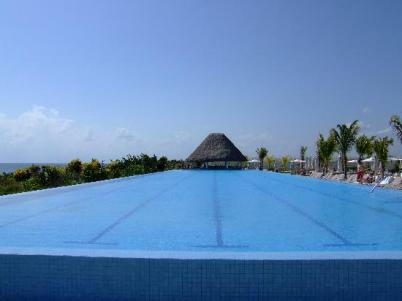 Moon Palace offers 2 outdoor pools that are lagoon style. This means they wind around the resort. 2 kiddie pools and 4 swim up bars. 6 jacuzzi's are at this all inclusive resort as well. There is a new area called Moon Grand and it has a large, endless pool. Here is a picture of the pool at this resort. meditation garden, Bingo & fitness facilities. Snorkeling, windsurfing, paddleboats, kayaks and mini golf. A shuttle can take you anywhere you need to go around the resort. The Marina is next door and has unlimited non motorized equipment. For family vacations, there is a kids club during the day with all kinds of kid activities for ages 4-12. This picture is of the famous golf course. 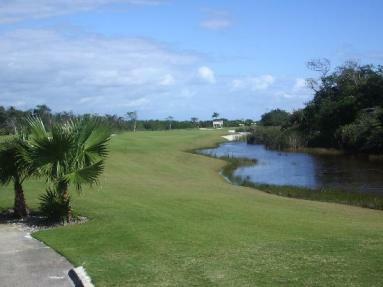 A Jack Nicklaus Signature Golf Course is available on the premises of this resort for your golfing enjoyment! You can purchase Golf packages at this resort. If you stay at a Palace resort, you are able to use the facilities of all of the Palace resorts. This is a great amenity if you want to experience other results. This all inclusive Palace resort has 24 hour room service so it's always easy to find food if your hungry. For a little extra cash, you can get a private, candlelight dinner on the beach! Rooms are spacious and bright! A brand new section at Moon Grand has larger rooms. Imagine one of your family vacations in this swim up suite. You can upgrade to the Concierge Level Package which includes: Oceanfront room with King bed and 2 25 min. massages. and L'Occitane En Provence body products. 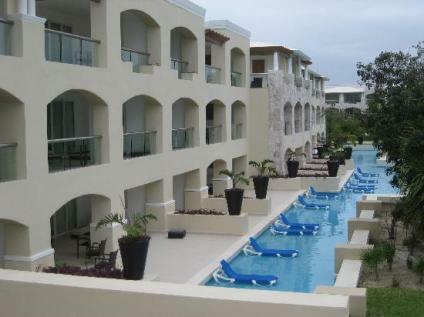 Check out adult only all inclusive resorts..